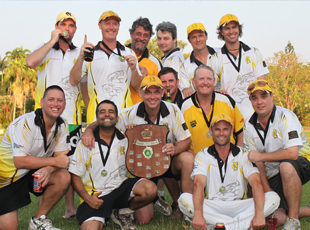 NCC currently field teams in all grades associated to the Darwin and Districts competition. Senior training occur every Tuesdays and Thursday, from 5pm-dark at the Nightcliff Oval during the regular season. Preseason training or additional training dates, times and locations vary each year. These are advertised on our social media outlets. It is recommended that if you are unable to attend training please let your captain and club coach know via text / email / facebook. The fee covers the season from April to September and includes Association fees, player insurance, training equipment, game balls, Nightcliff Sports Club Membership and other expenses associated with managing the club. A playing and training shirt is also provided as part of fee payment. There are no other fees charged throughout the season. All fees should be paid before the first game. Reference: Initial and last name (eg J.Smith fees). No receipts will be issued for online payments as they have their own electronic record. Membership is part of your fees and you will receive a membership card. The Sports Club is our major sponsor and we support it at every opportunity. Make sure you swipe your card on entry and at bar purchases as this registers cricket support. All players are expected to comply with the code of conduct displayed at the bar.